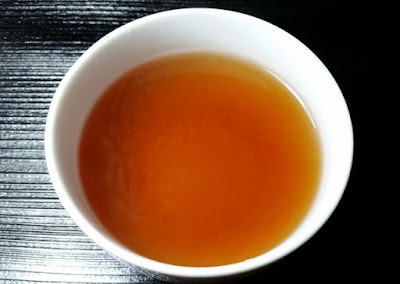 Product Description: Prana Chai is hand made and blended in Melbourne from all natural ingredients and uses 100% Australian quality honey blended by hand with tea and whole spices. I prepared this following the directions on the package and using 1% milk. After it reached a low simmer, I turned the heat down to low and allowed it to continue simmering until a thick froth had developed, approximately 3-5 minutes. 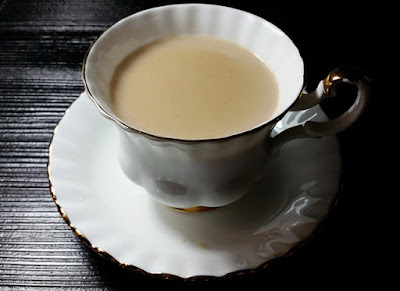 The resulting infusion had a caramel cream color with with an aroma of cream, caramel, and spices with clove, cardamom, ginger, and cinnamon being prominent. The taste is delightfully mellow, spicy and creamy. I prefer a bold masala chai, so I will be preparing this in future with a third heaping teaspoon of the tea blend. Though the packaging directions recommend adding honey to taste, the flavor is naturally, though not cloyingly, sweet on its own. I prepared the tea by steeping as I would any other loose leaf tea. I would recommend a heaping teaspoon rather than measuring the tea blend by weight since a cardamom pod alone weighs half a gram. 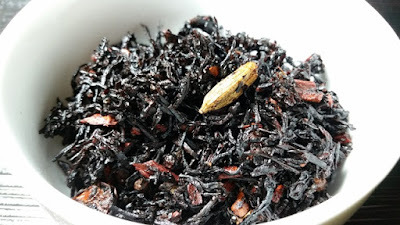 The resulting infusion had a rich copper red color with a delightful sweet and spicy aroma. The taste was smooth, spicy, and sweetness was very subtle. Since the flavor was pleasantly mild, there was no temptation to add sweetener or milk. Both preparation methods resulted in a fine cup of tea so this may be enjoyed whether or not you have a hot plate or stove handy.